This was a request that deviant user Deer-Moss did for me during this summer. 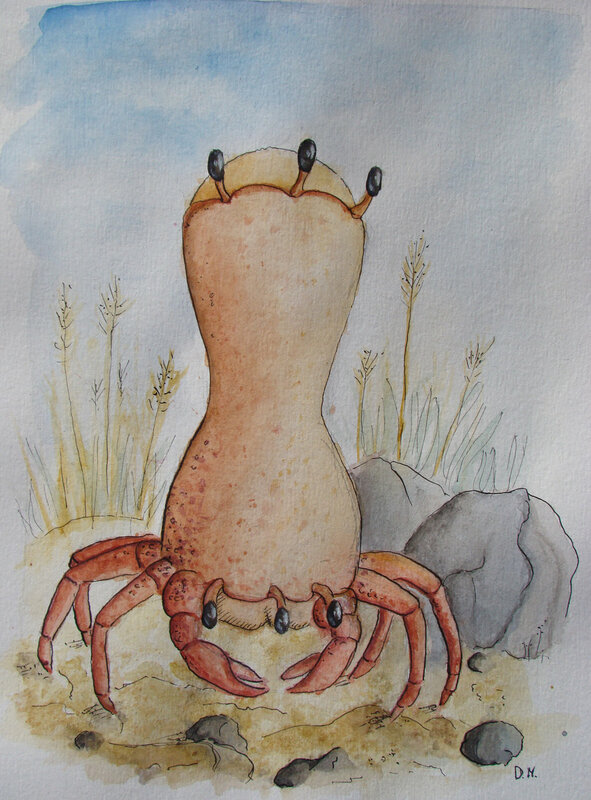 She was grateful and skilled enough to portray my concept of an alien crab that I doodled one day. The watercolor adds a really nice effect to it, making it look like it came out of a nature book. Also some other people were quite impressed with it, apparently.